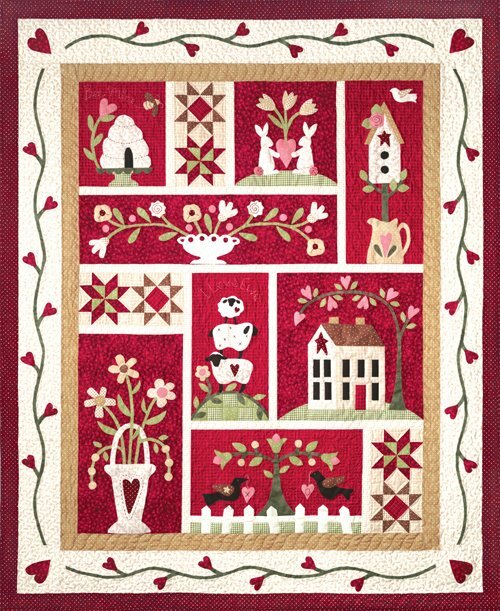 Blossoms, Bunnies, Birds & Bees abound in this beautiful "From the Heart" quilt. This is surely one of the "love-liest" quilts you'll ever make! There are 8 applique blocks each with its own theme. There is a "Bunny Love" block, a "Bee Mine" and even a "Hugs & Kisses" themed block!